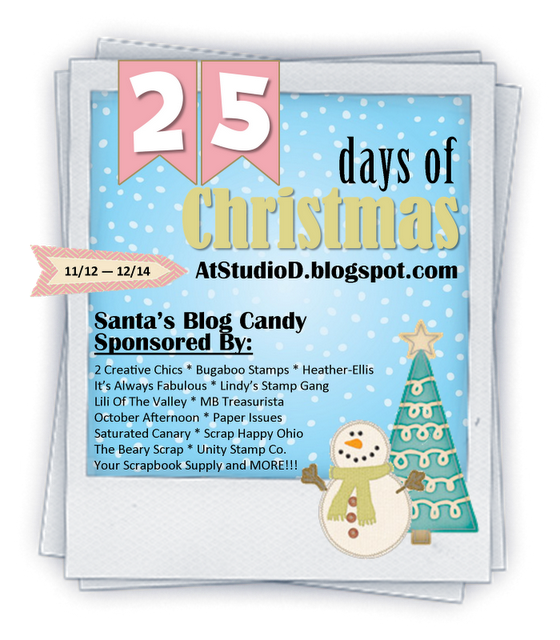 Sherrie Scraps with passion: 25 Days of Christmas! I wanted to share some exciting news with you. Damaris from At Studio D is having a 25 Days of Christmas event and you will want to come check it out and join in. Go HERE for all the details:) Sounds like fun! Thansk for sharing this!! Who doesn't love anything Christmas! !